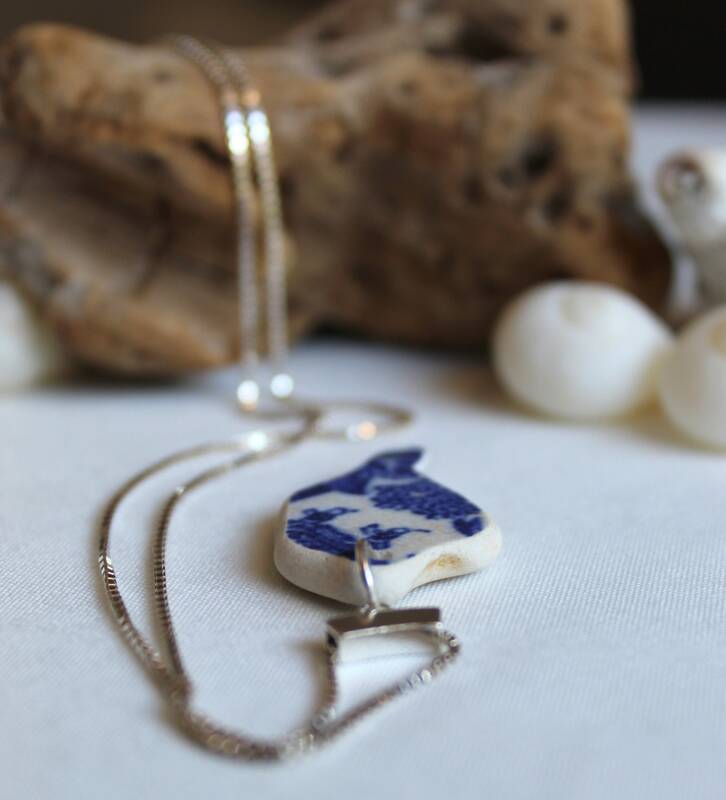 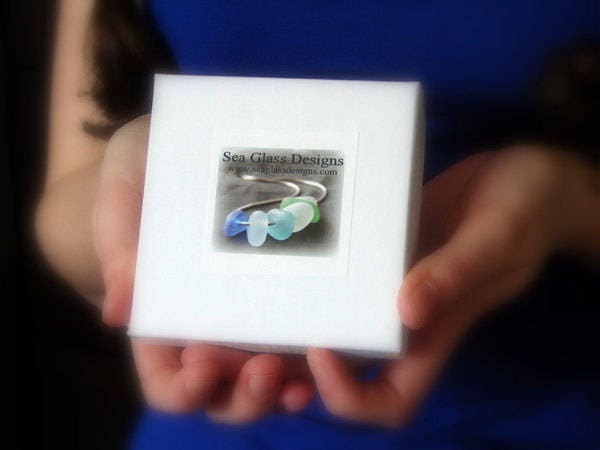 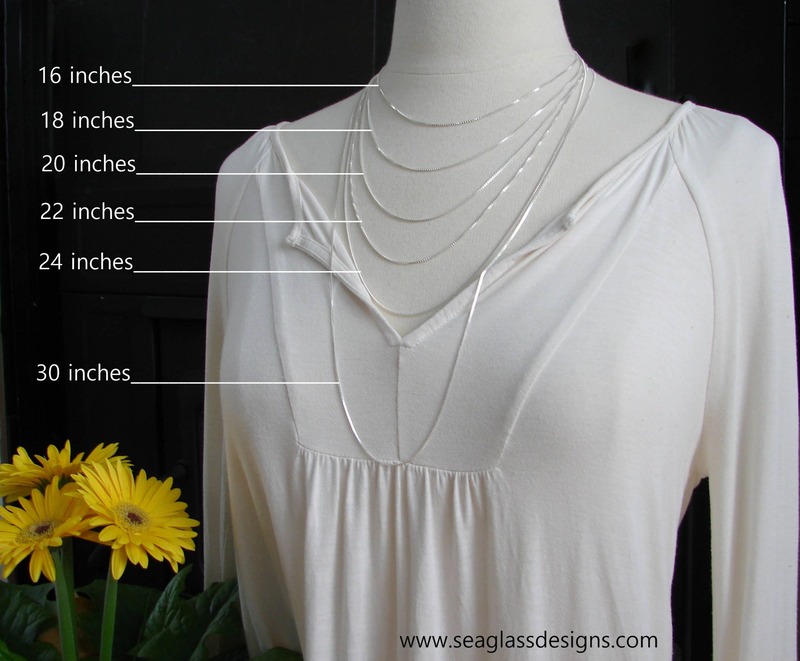 Our Blue and White sea glass necklace features a lovely piece of vintage sea pottery dangling from a sterling silver bail on an 18 inch box chain. 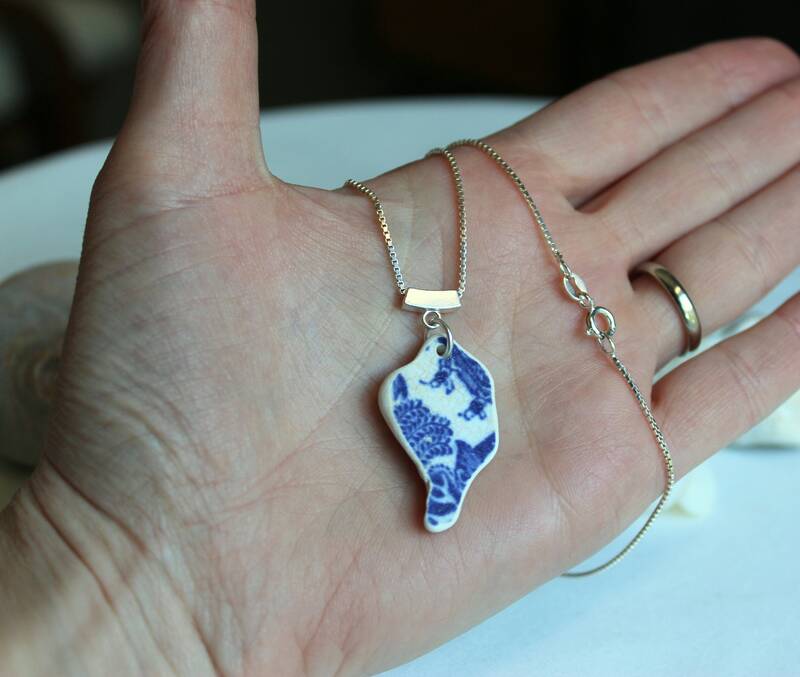 The pendant measures 1 1/2 inches in length. 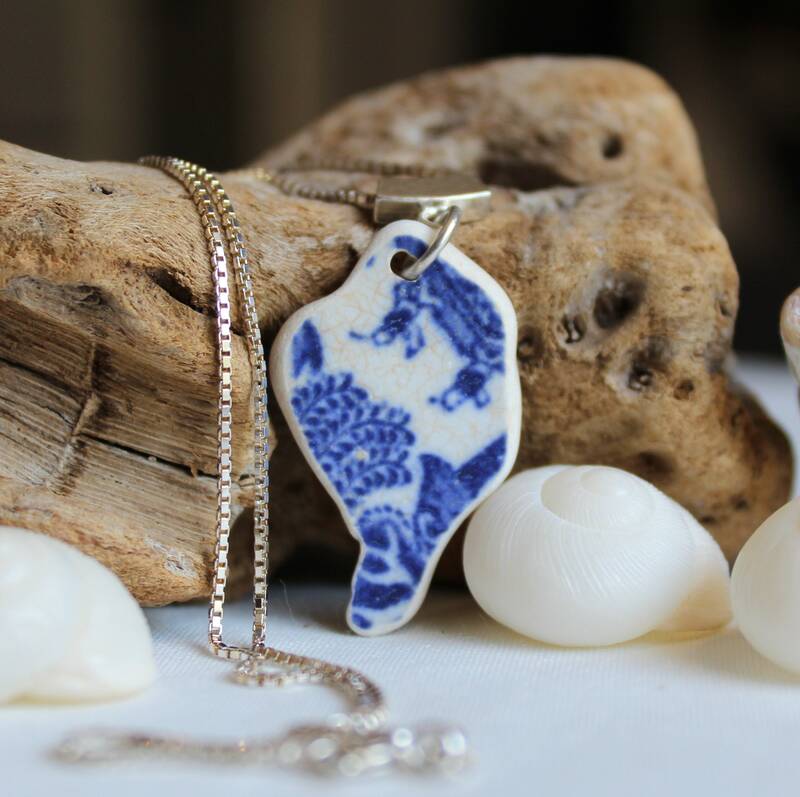 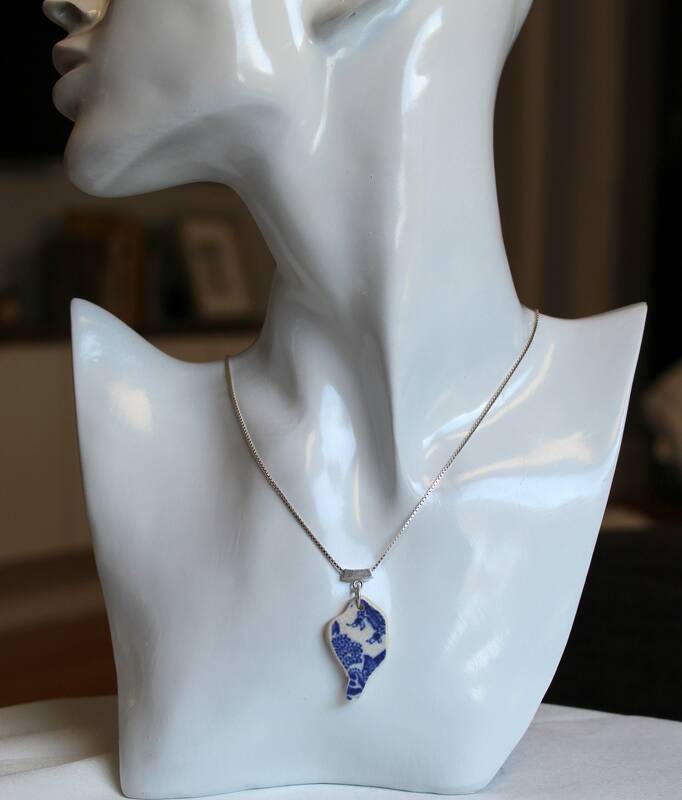 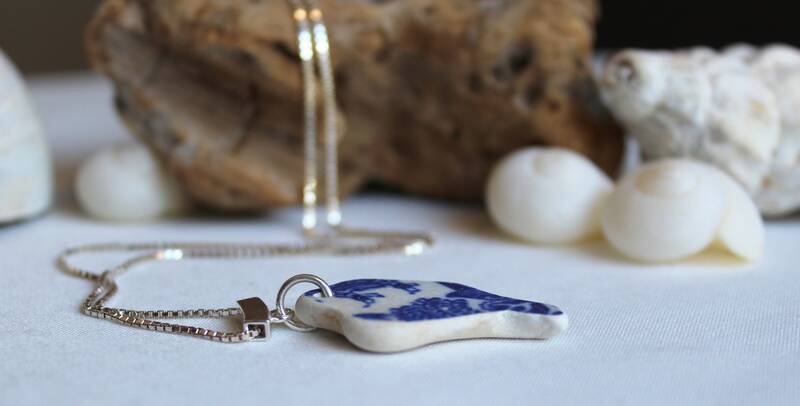 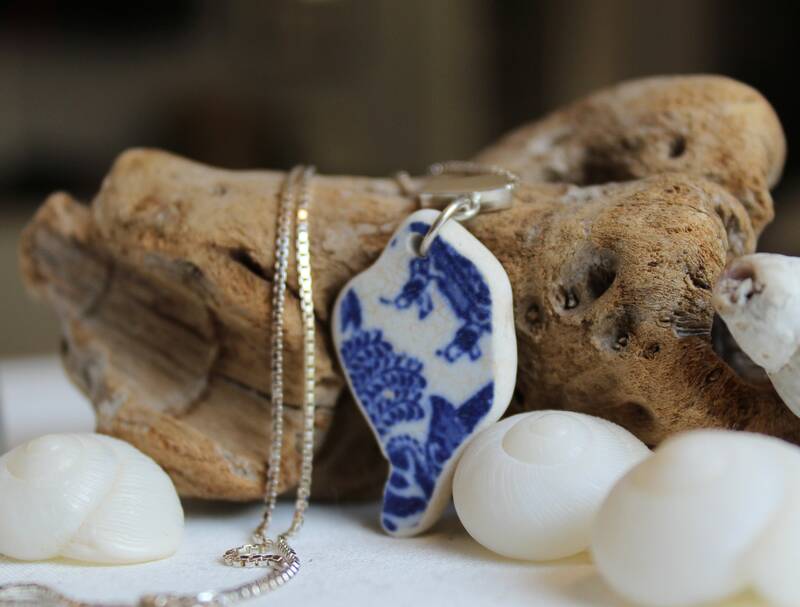 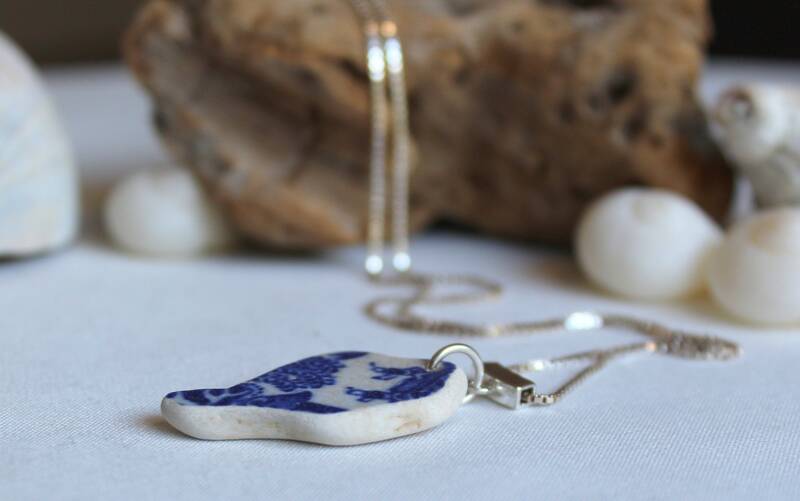 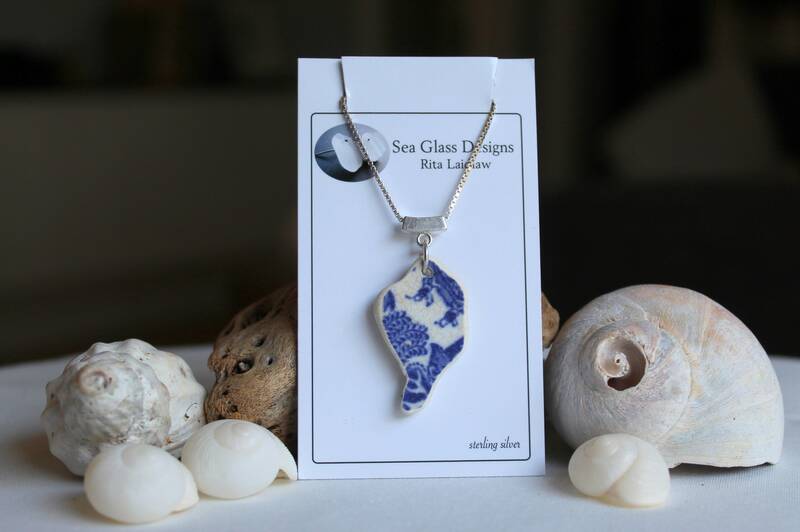 The design in this one of a kind necklace is original to the china, lovingly smoothed and polished by the sea, and found on a Nova Scotia beach.